Death is the only thing that is certain in this world. Since we live in a society, the first thought that comes to our mind is how to protect those who are dependent on us. Life insurance is about providing protection to the dependents. At the same time, it also provides peace of mind to the living person. He or she knows that his family or dependents won’t have to bear any hardships even if he dies. In most cases, the dependents include the spouse, children, and parents. However, a person may make anybody the beneficiary of the policy. The insurance policy is a legal contract between the insurer and the insured. However, having a life insurance policy does not mean that you will get life cover for all kinds of deaths. Do keep in mind that the insured and the policy owner can be the same person or two different persons depending on the situation. For example, if you buy a policy for yourself, you are both the owner and the insured. However, if you buy a policy for your spouse, you are the policy owner while your spouse is the insured person. In simple words, the person who pays the premiums is the policy owner while the person who is covered by the policy is the insured person. Most of the life insurance policies do not cover deaths due to man-made events. These include riots, commotion, suicide and many other similar things. The objective of this limitation is to prevent misuse of the policy and give insurance cover only to the deserving parties. 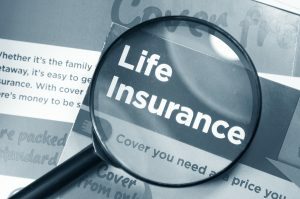 Though there are many types of life insurance policies available on the market, most of them can be broadly classified into two categories. One is for the sole purpose of protection so that the dependents of a person can be supported after the demise of the insured person. Such policies are known as term insurance policies. The other type of policy is bought from an investment perspective. These can be called by different names like Universal, Permanent or Whole Life insurance. Term insurance is a kind of temporary insurance that would provide a death benefit for a certain period of time. There is no money accumulation for the insured. Term insurance is not as costly as permanent insurance. These types of insurance policies are mostly bought by those who see insurance as a means of investment. There is an accumulation of money in these types of policies and there is a minimum sum assured to the beneficiary at the maturity of the policy. Are insurance companies doing social work? Prima facie, they are doing a good work by insuring people against any untoward incident. This way, they help the dependents live a normal life despite the demise of the concerning person. At the same time, there is a bit of commerce involved in this. The insurance companies insure a person in exchange for regular premiums. Insurance certainly eases the pressure on a common person who depends on regular earnings to support his or her family. The insurer has the right to deny selling a policy to an insurance seeker on various grounds. Further, the insurance premiums vary from person to person depending on his or her age, smoking habits, medical history, driving record, job profile and other things. Taxation in the context of insurance is a complicated matter especially when you think of it from a global perspective. However, if you go country-wise, the system would be simple to understand. In Australia, premiums paid through superannuation fund are taxable. In many other cases, premiums do not come under the ambit of taxation laws. In the US and the UK, by and large, premiums paid for life insurance are not tax deductible. Governments around the world encourage people to go for insurance. Many countries give incentives in different forms to encourage this practice. Despite this, a large number of people on this planet lead an uninsured life. How to claim the death benefit? To receive the death proceeds from the insurance company, the beneficiaries need to produce a death certificate of the insured person and proof of their own identity. The insurance company may demand more documents to ascertain the identity of the beneficiary or the cause of death of the insured. The insurer may get the matter investigated if it finds any kind of discrepancy in the claim or the cause of death of the insured person. You may be surprised to know that there have been cases in the past when life insurance policies were misused. The large sum of money that is owed to the beneficiaries becomes an incentive for getting rid of the insured. Insurance companies and governments have been finding ways to prevent these and many other kinds of situations. Insurance is a complicated matter and you should consult an expert to understand things from a legal point of view. This is why most of the employees, entrepreneurs, directors, CEOs and businessmen hire tax and insurance experts. There are different schools of thought regarding the utility and effectiveness of insurance policies. You can do the research by yourself or consult an expert to find the best life insurance policy!